Pairing food and wine shouldn’t be rocket science. More than anything, it has a lot to do with personal taste, which means there are no cut-and-dry rules. In fact, most wines work with most foods, but knowing a few basic rules can enhance your enjoyment. Eating and drinking should be enjoyable, and all you need are a few simple tips for a great meal! 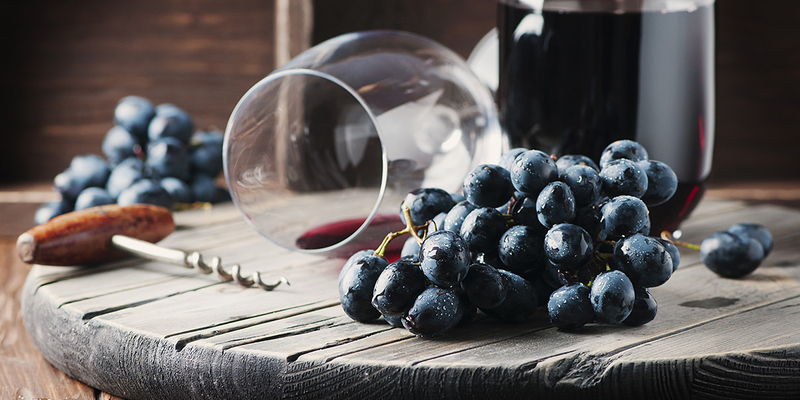 Going for complementary flavors is an easy way to pair wine with your food. When you pair this way, you’re matching the structure of the wine with the structure of the food. For example: matching a big, powerful, wine with a rich and savory dish. A light, delicate dish wouldn’t work with a robust red since the flavors in the wine could overpower the food. A Chardonnay with a cheesy pasta dish or poultry with a cream-based sauce is the perfect pairing. Any dish with lemon or citrus would do well with a crisp, acidic wine. These wines include Sauvignon Blanc, Pinot Grigio, Albariño, or even Chenin Blanc. Chocolate cake? Crème brûlée? Pair your desserts with a sweet wine like Port or Moscato. Go for dishes with a significant fruit component. Eat with fruity wines like Gewürztraminer or Riesling. Pair your food and wine with contrasting flavors. This means you’re trying to counterbalance a taste or element in either the dish or the drink. For example: rich, fatty dishes like steak diminish the perception of acidity. Making a robust wine such as a Cabernet Sauvignon seem smoother. Salt accentuates the acidity of a wine and can make it taste more astringent. A big, tannic red with spicy chow mein? Not so much. Very spicy flavors tend to react poor with bold, high-alcohol wine. This can make them taste even hotter. A fruity or light, sweet wine like Riesling or Pinot Gris is much better suited to your Thai take-out. Drink a crisp, acidic wine to cut through the flavors in a rich, creamy dish. Try a sparkling wine or Sauvignon Blanc with your fettuccine alfredo or mac and cheese. Forgot the rules already? Choose a wine you’d want to drink by itself. That way, even if the pairing isn’t perfect, you’ll still enjoy what you’re drinking. At worst, you might need a sip of water or bite of bread between the dish and the glass. Come shop all your favorite wines at The Wine and Spirits Cellar. We can help you find exactly what you’re looking for. Whether that be local or domestic. Be sure to also check us out on Facebook!